Wool tapestry, oak veneer furniture, about 7 m². 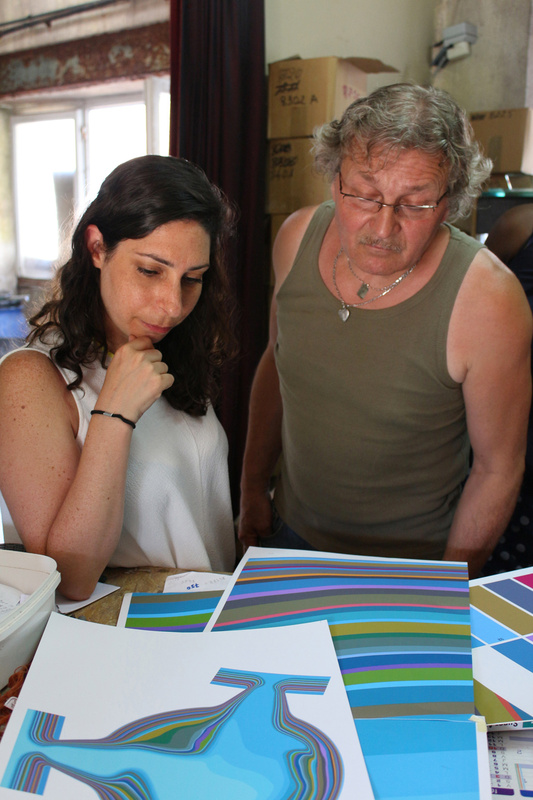 Bina Baitel’s project Confluentia won the 2012 edition of the Cité’s call for contemporary creation of 2012, organized in partnership with the Cité du Design in Saint-Etienne. Merging upholstered furniture and an Aubusson low pile carpet, Confluentia is a hybrid project, “a micro-landscape between design furniture and tapestry” according Bina Baitel’s words. The object appears as an interior landscape, in the manner of the 17th – 18th Century Aubusson tapestry, like an artificial lake between two wooden embossed designs. It is a household landscape, which reminds both of nature and house-familiar typologies that are occasional furniture and the carpet. The drawing is abstract, it represents a peaceful lake, generator of serenity, being animated by the gush of two sources as well. It is a contemplative-friendly space. The drawing motive evokes a topographic map: the carpet is the drawing of a place, a life space. It refers to the oriental use of the carpet as an ideal place to share a moment of conviviality. Bina Baitel has the user come in the landscape, who becomes actor of the tapestry. The action is not within the frame of the relationship with the tapestry any longer, but rather within the tapestry itself. Confluentia is the confluence point between the in-visu perception and the in-situ experience. Many exchanges occurred between the designer and the craftsman to prepare the weaving, the sampling, the choice of color and the tapestry insertion into the bedside tables that came with it. 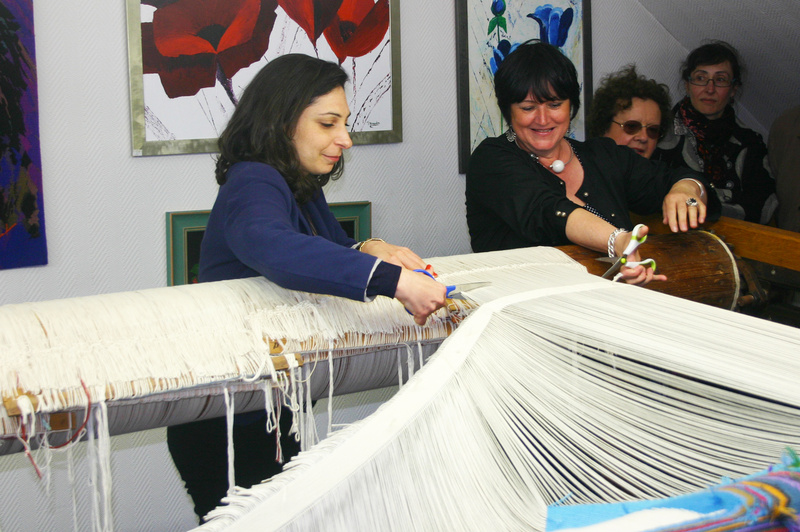 The weaving realization was entrusted to Françoise Vernaudon’s workshop. The bedside tables were realized by La Fabrique (Lyon) and the upholstery by the Ateliers Charles Jouffre (Lyon). Bina Baitel is born in 1977 in Paris. After graduating the École Nationale Supérieure d’Architecture of Paris-La Villette, she founds her own studio in 2006. In 2008, Bina Baitel was awarded laureate with help of the VIA creation for her PullOver lamp. With a style characterizing itself by playing on materials and volumes, her creations, in the manner of her “Under My Skin” collection, for which she collaborates with the Next Level gallery, answers a will to create functional objects. After collaborating with the large retailers, luxury brands, publishing house and art galleries, Bina Baitel wins the same year, in 2012, the Cité’s First Prize and the creation Prize of the city of Paris.